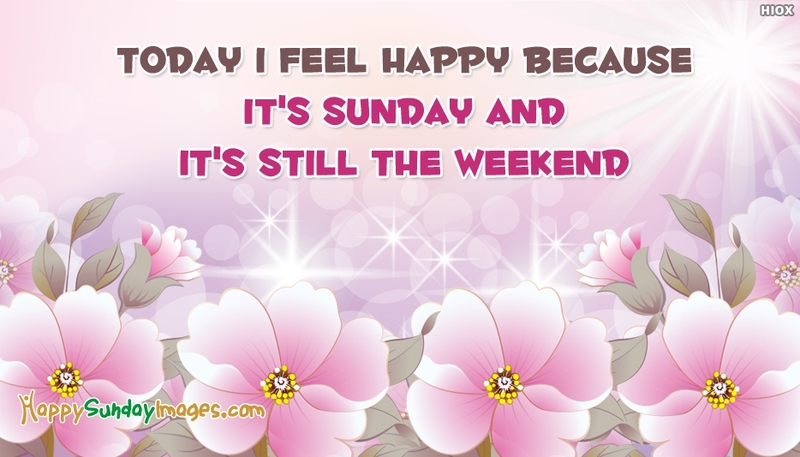 Spread the happiness of the great weekend you have by sharing this weekend wishes which says "Today I Feel Happy Because It's Sunday and It's still the Weekend". Express your happiness this weekend with all your dear and near ones and make them happy as well. Download and share it for free.